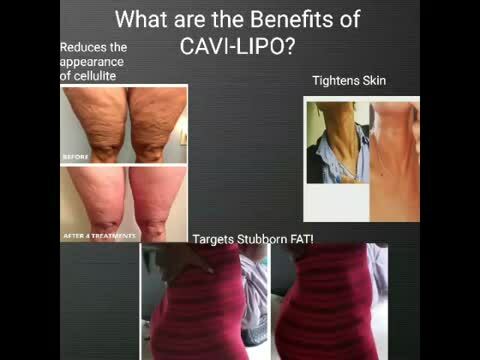 Ultrasonic Cavitation utilizes low frequency ultrasound waves to burst fat cells. Radiofrequency is often used as a compliment to Ultrasonic Cavitation to help soften fat, tighten skin, and reduce the appearance of cellulite and stretch marks. The face, chin, neck, arms, stomach, thighs, back, and buttocks are common treatment areas. The procedure is unisex, non-invasive, painless, effective, and FDA approved. Some individuals that suffer with certain medical conditions are not candidates for our treatments. People with kidney, cardiac, vascular diseases, diabetes, acute illness, and comprised liver function are not candidates. Also, patients with severe bleeding tendencies, pacemaker carriers, and women who are pregnant or breastfeeding should avoid undergoing these procedures. Let's Check Out Some Results!